In a multi-part series, we look back at the Swisscom Outpost’s 20 years in Silicon Valley. 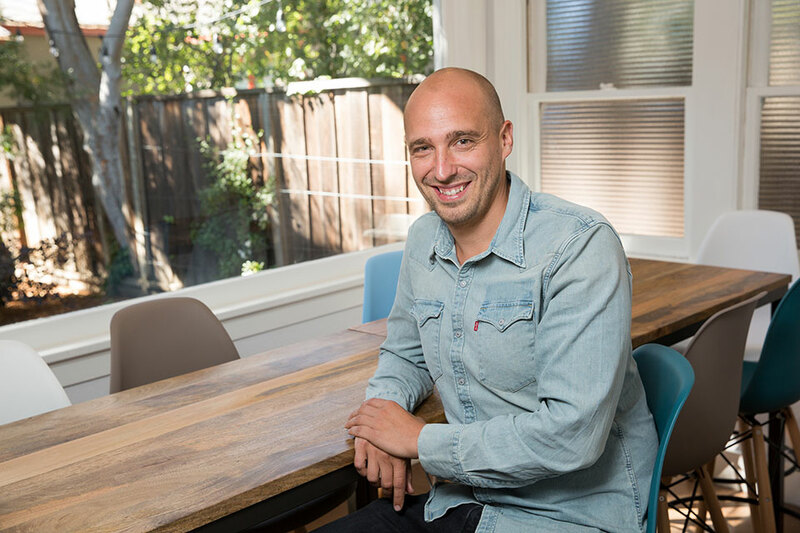 In the fourth and final Part, we hear from Lukas Peter, who has been at the Outpost since the beginning of 2016 and oversaw its relocation from Menlo Park to Palo Alto. In spring 2017, we moved the Outpost back to Palo Alto. The main reason for this was the oversized office in Menlo Park, where the original intention had been to build an external production site with over 50 developers for the Swisscom Cloud project. But after that project was stopped, the rental costs were out of proportion to the ten or so employees who were ultimately still here. It was clear to me that we were not only looking for something more affordable, but also for something that looked less like a corporate office and exuded more of the Silicon Valley groove. In addition, in various internal conversations, the former location at 636 Waverly Street was repeatedly mentioned as the ideal. So it began to be apparent that the search was heading in this direction, that is to say, back to the roots! Then as luck would have it, I stumbled across the building on 675 Forest Avenue in practically my first search on Craigslist. This was perfect not only in size, but also in location: It’s just off University Avenue on a parallel street and you can reach downtown Palo Alto and the train station in a few minutes on foot. Since everyone had warned me beforehand how difficult it was to find something suitable in this area and above all something affordable, I was of course thrilled. On top of that, I was under quite a bit of time pressure when I started searching in March. Our contract in Menlo Park was expiring in April, so things had to be done quickly. In hindsight, you can probably call it a stroke of luck! After the contract was signed, the move started immediately. Unfortunately, I had to go to Switzerland at that point and so I couldn’t help my colleagues with it.… But they did a great job and everyone pitched in so that we could switch to the new address as quickly as possible. Before that, we were able to repaint the building and make a few modifications. We also bought new furniture so that we could outfit it properly. As I said, we didn’t have much time for it and there was a certain amount of skepticism among the staff members as to whether it would ultimately meet our needs. With the help of an interior decorator, who fortunately was very flexible, we managed the whole switchover and outfitting within two or three weeks. That was really in the style of a lean start-up.… At almost the same time, the new Pirates Hub was being set up in Zurich, which took more than six months. The way we did things over here was a bit different! With the move into the new location, the Cloud Lab and the Outpost teams were also able to be brought together. The joint move and the new space, which allowed for closer cooperation, certainly contributed to that. In addition, we have a spacious yard here, which lets us conduct team lunches and barbecues. But we are also better situated for external events now and can appropriately represent Swisscom. In autumn 2017, for example, we had a visit from a 45-member delegation from ICT Switzerland along with political representatives from Switzerland’s Council of States and National Council (Blog). Last year, we recorded a total of more than 300 guests at the Outpost. There was everything from start-ups to university professors to CEOs. Today, we’re a hub for the whole Swiss economy. This has been accompanied by a change in the Outpost’s positioning. On the one hand, we tend to the local ecosystem, while on the other hand, we establish connections to Swisscom and to other companies and institutions. This is also expressed through our claims to be a Gateway to Global Innovation and a Gateway to Switzerland. We consider it our mission to represent both Swisscom and Switzerland in Silicon Valley. In addition to our representative function, our current field of activity primarily includes four areas. We invest in local start-ups, as we recently did with fastly, through the Swisscom Digital Transformation Fund, where the former Outpost director Stefan Kuentz is responsible for US investments with Swisscom Ventures. Or we go the opposite direction and connect Swiss start-ups like Mila with the local ecosystem. Then we do tech and new business scouting here and bring the resulting discoveries and contacts to the business units in Switzerland. Examples of such discoveries are the companies ZecOps and Mesh++, which Swisscom and its customers have recently been collaborating with. Or we launch entirely new products like the marketing system beem, which my colleague Simon Zwahlen has built up here and is currently being launched in Switzerland with a newly founded team as a new product in its own right. With our local engineers as well as close cooperation with Next Generation Telecom International, we have the possibility of conducting technical due diligence for our potential investments in our Innovation Lab. In the area of tech scouting, we can quickly test products or initiate proofs of concept from here for potential new products, as in the example of beem. And the area of partnerships is very important. Especially suppliers like VMware or Dell Technologies are of great importance for the entire Swisscom IT infrastructure. The interaction with Ericsson is also essential as they operate an Innovation Lab with more than 500 people here. In addition, we are involved in various organizations such as the Telecom Council, the Cloud Foundry Foundation or the MIT Media Lab. Swisscom’s Outpost concept no longer includes only a presence in Silicon Valley. With Berlin and Shanghai, two more satellites have been launched in the last two years. This clearly expresses Swisscom’s aspiration to be present in other hotspots around the world in addition to the established Outpost in order to be able to keep track of trends and emerging developments in the future as well. Recorded by Mark Walti, Palo Alto, 3 April 2019. Lukas Peter is CEO and head of Outpost Services. In this post, I will focus on the use cases beyond the Crypto Currencies and tokens. I will go through different enterprise business cases and their maturity level. And the position that the Telcos and Swisscom can play in this new economy. I’ve been involved on and off of projects with blockchain for the last four years. We started with an application on the Bitcoin blockchain, high-jacking the comments space for application information. Then moved to Ethereum and finally to Hyperledger. The Distributed Ledger (DLT), the technology underneath the Blockchain, is still in its early days – there are still technical and privacy issues that prevent the mass adoption, but at the same time there are a growing number of use cases, that could simplify business processes across the industries. I will go through different business use cases and will look at how we can position Swisscom for maximum benefit to our customers. User verification using a public/private key. Even if the key management is performed outside of the blockchain the access control of the system is based on solid ground. Transaction validation – each transaction is checked and validated by several parties against specific protocol before it is confirmed and written in the chain. Transaction finality – each transaction in the blockchain is written “in stone”. It cannot be modified or deleted. If a correction is necessary, a new transaction is created, correcting the status, but not deleting the wrong one. Smart contracts – a computer logic that can be activated in the blockchain. It can be used for authentication, access management, asset transfer etc. Distributed – every participant has the same copy of the ledger as everyone else. The decentralization improves the throughput, but also adds latency challenges – the time needed for a transaction to be propagated to all participants. Decentralized – Every node can validate every transaction, as they all have the same access to the historical information. Ran on public infrastructure – for some use cases. Even if none of these benefits are unique to the Blockchain, combining them in one platform can provide the underlying security layer that will bring data integrity and protection to many existing software solutions. The digital constraints that a blockchain enforces – user verification, transaction validation, finality, and distribution could make it a good fit as a replacement for intermediaries in different supply chains. If a party’s role is to coordinate other parties and keeps them in check, to aggregate and store assets, or distribute them fairly. Its role could easily be replaced by DLT and smart contracts. This makes the DLT a potential disruptor to some of the functions of banks, insurers, dispatchers, forwarders, etc. The blockchain on its own cannot enforce rules on the physical objects that are represented in it. This is resolved either by using some form of a digital tether – that blocks the functions of a device or external legal governance enforcement from the real world. This also puts a limit on the feasible use cases for a DLT. Many cases could be integrated in a classical way using a distributed database with encrypted entries and a software application on top. The benefits of the Blockchain and Digital Ledgers (DLT) come to shine when several businesses with different interests need to agree on a common status of the world. When asset needs to be transferred between parties. The most obvious use cases are for FinTech, supply chain management and data management. Supply chain management is an obvious use case for blockchain adoption. Supply chains are often complex, unreliable and difficult to accurately follow. Things that are often problematic in following the progression of current supply chains, including reliability and veracity of record keeping, can be potentially remedied with blockchain technologies and their built-in reliability and accuracy. With each transaction along the chain entered and verified, there is no disputing how or where the supply chain is moving. The chain of ownership is recorded every step of the way and the records cannot be altered or challenged. Blockchain provides consensus–everyone on the blockchain can see the chain of ownership for an asset on the blockchain. Records on the blockchain cannot be erased which is important for a transparent supply chain. Example – The aviation industry is one that can be greatly helped by blockchain technologies. It’s an entire ecosystem of people and technologies responsible for keeping a plane aloft and landing safely. From equipment manufacturers, maintenance and repair operators, communications systems and a ton of data being produced by the parts on the plane. It is a massive supply chain project that monitors and documents all the parts that are part of a plane and all of the people who touch them. The airline industry is now able to connect into that ecosystem for a much more efficient requisition of parts, understanding the actual physical condition of the parts, and knowing exactly who serviced the parts and when they were serviced. When this information is transparently shared with other airlines, we can get a better understanding of how these parts are performing. Blockchain has enormous implications with regard to identity management. While many fear to have all of their personal information on a single chain, the reality is that individuals will have control over how much information will be provided to each entity. With blockchain, the consumers can choose to become the owner of your own data. Organizations no longer need to collect and store every identity data attribute and thus, no single party has power over customers’ identity. They get to decide what identity data attributes to share with each organization. A simple example would be someone who has just moved to a new state and is looking to get a new driver’s license. Blockchain can provide a reliable record of the individual’s past licensing and their driving record. More than one billion people in the world have no official ID. Blockchain has the potential to offer a common solution available to every person and every organization. This has implications for health, for voting, even for national identity. The goal of doing business is to have contracts and transactions that are as reliable, verifiable and transparent as possible. Automation, the kind that modern enterprise resource planning (ERP) solutions bring to the table, has sped up the process, but it is far from perfect. Despite the automation, data stored in individual ERP systems frequently gets out of sync, creating complications when trying to reconcile accounts. It is unlikely that blockchain will replace ERP systems. The more likely scenario will be for blockchain to serve as a complement to, and a core component of ERP. In the future, many core business processes will run on–or interoperate with–blockchain-based systems. This will enable companies to streamline processes, facilitate data sharing, and improve data integrity. The use cases for Industrial IoT are closely related to Supply chain management and internal process and quality optimization. These are the cases where not only the transaction between companies are reliably stored in a DLT, but also the internal processes between departments within the same organization. Blockchain can provide a base for dynamic process flow management and monitoring and a single source of truth for security auditing and quality control. Imagine that a city has a digital ledger in which every house or apartment has a presence containing all relevant information about the home, from property ownership and mortgage balance to transactional data like utility use, property tax assessment, and past and current contractor relationships. Now imagine extending that to the city’s broader infrastructure. Budget allocation. Smart parking systems. Smart roads with a price per kilometer depending on the traffic. Public services. Tax estimation and collection. Voting for Local government and legislation. Every interaction is transparent, verifiable, and nearly impossible to fake or alter — and just as importantly, it adds to a vast store of data the city can then use machine learning to analyze for future improvements and efficiencies. Technologists and health-care professionals across the globe see blockchain technology as a way to streamline the sharing of medical records in a secure way, protect sensitive data from hackers, and give patients more control over their information. But before an industry-wide revolution in medical records is possible, a new technical infrastructure—a custom-built “health-care blockchain”—must be constructed. It should automatically keep track of who has permission to view and change a record of medications a person is taking. It should also solve a key issue facing just about anyone who wants to take blockchain outside the realm of digital currency: miners. The blockchain-based patient identifier should be linked to hospital records as well as data from other sources like employee wellness programs and wearable health monitors. It could be just the thing to sew together the maddening patchwork of digital systems available now. Smart contracts powered by a blockchain technology could provide customers and insurers with the means to manage claims in a transparent, responsive and trusted manner. In addition to being more reliable and significantly reducing fraud, smart contracts have the potential to dramatically expedite onboarding and other insurance processes, enabling insurers to provide a unique customer experience. Performance – transaction throughput of the system. Depending on the underlying ledger the performance is between 10 and 10000 transactions per second. The lower end is a design constraint applied to ensure the consensus mechanism. In a public blockchain, high transactions rate might allow bad actors to quickly create fake blocks and add fraudulent transactions. Too much transparency – many companies are afraid that managing their data in a public or even permission platform could make them vulnerable not only to attackers but also to the competitors. What information will be kept private, what public and who will participate in the platform will not be decided by the participants, but by a regulator in the industry. Wrong Finality – having erroneous transactions triggered by bad sensors or devices will require audits and overwriting. Lack of developers – as the technology is in its infancy, there are not enough developers to build, operate and audit such systems. Business model – the roles are not clear yet. How the platform provider will make money. How the nodes will be incentivized? How the decisions will be taken, or the errors corrected if there is no intermediary or authority? Aligning the interests of the participants is one of the biggest blockers of the DLT adoption. Still not enough trust from the business – once a smart contract is triggered it can execute a transaction instantly and finally. The business is not yet ready to give control to machines. Lack of regulations – how legal contracts can be translated and related to digital contracts. Opposition from the parties that might get disrupted. Despite the current infancy issues with performance and trust, the distributed ledgers have the potential to change the way we do business. Its biggest advantage is the ability to store facts across different organizations and change these facts simultaneously, while all participants agree with the changes. Blockchain could be a necessary component of the digitization of the Swiss business – inter and intracompany operations. We can provide the necessary infrastructure and business applications to improve the operations and management across a different business in the 21st century. Cyber Security – end to end protection from the connetivity to the whole stack. The current status of Blockchain technology reminds me of the early days of cloud computing. Few people were running a Virtual Box with Linux VM on their Windows computers. Most companies were ignoring it, while Rackspace and Amazon were seeing the potential to transform the way we run a business. During that time, they were improving the technology, hiring the right experts and building a new business model for a new type of customers. There will be some time before we see the blockchain cases broadly adopted, but then it might be too late to join. The experts will be with the competitors, the know-how will be patented, and the customers will have their vendors selected. • Engage in PoCs with customers to gain experience and trust. • Prepare experts in-house and on the customer side. • Implement internal trials for efficiency and process improvements. • Experiment with different components to improve performance and interoperability. In a multi-part series, we look back at the Swisscom Outpost’s 20 years in Silicon Valley. In part three, Marco Hochstrasser and Gregory Leproux share their experiences. The two of them were at the Outpost between 2013 and 2017 and especially left their mark on the time in Menlo Park at 1160 Chestnut Street. The move from 636 Waverly Street in Palo Alto to Menlo Park meant a paradigm shift. Our expansion in the cloud sector demanded a more suitable office, and the new premises had a more corporate style. To me, the change seemed like when a start-up turns into a mature business. My activity at the Outpost can be divided into three phases. In the first phase, I applied for a stay in the USA through the Swisscom talent program. So I joined Ursula Oesterle and Torsten Bottjer at the Outpost, where I first completed a six-week internship. As a result, I was offered a job in the cloud project as a business architect located in the USA. This was also the start of cloud activity in Silicon Valley. Then came the second phase, when I became head of the Application Cloud team to build a part of the Swisscom Cloud. We started putting together different teams that were stationed in both the USA and Switzerland and that interacted together in order to build up know-how as fast as possible. I worked from Silicon Valley along with some colleagues. In this phase, the most state-of-the-art cloud that Swisscom ever built was created on the basis of top-notch open source technologies. It was an intense and exciting time. In the third phase, I took over responsibility for the entire team and ran the Cloud Lab for almost a year and a half. Silicon Valley is an extremely exciting region. On the one hand, it’s very multicultural, but on the other hand, you hardly encounter any “locals.” There’s a constant coming and going. A scene insider once said that the Valley turns over completely every three to five years due to technological trends and the rapidly changing structures. That makes it unique and keeps up a high level of dynamism. When I visit today, just four years later, I only see a few acquaintances from my time who are active in the cloud sector. Most have moved away or have new responsibilities in other areas. The rhythm of time is unique in Silicon Valley, not only from a technological perspective but also structurally. The Valley is also an ideal place to do business, especially in the technology sector. There is an extremely high degree of openness. Most of the people you meet here have a very high affinity for risk, and almost every contact results in an opportunity or a contact recommendation. However, a man’s/woman’s word is not always his/her bond, although we Swiss are often too critical in this regard, and sometimes we get in our own way. As a rule, the third question at a meeting here is to what extent one can profit from a mutual partnership. This directness is remarkable and leads to many exciting business relationships. When I first arrived, we were based in Palo Alto, and as the team started to grow and took on a different role and profile, it was time to settle down and move to a larger office. We found new space in Menlo Park. With around ten permanent members of the Outpost, the office served as a base for the business development team and as a permanent office for the cloud architects. The Outpost had a great reputation inside and outside Swisscom. Swisscom was perceived as both innovative and interesting enough for start-ups who wanted to enter Europe or test their telecom solutions. My focus was on representing Swisscom, identifying potential partners and scouting for both new practices – for example, the lean start-up – and new technologies, such as AI. Silicon Valley is a business platform, and the overall objective was not only to transfer know-how, but really to accelerate Swisscom’s learning by working with tech companies during the pilot phase and throughout a project and ultimately delivering new services. At that time, I both advised Swisscom’s stakeholders and customers and worked on emerging technologies like blockchain and artificial intelligence. When I arrived, we conducted several studies about the collaborative economy. The objective was not to copy their model, but to understand the role of a brand in this new paradigm. I had also been working on location-based services, which is a quite broad topic. I identified technical solutions, but the goal was also to see what type of new business opportunities in marketing and advertising were created with more accurate systems such as beacons, for example, or with new approaches, such as Wi-Fi analytics. I also started to host fellow innovators from Swiss corporations for stays of four, eight or twelve weeks. We helped them to navigate the ecosystem, and we shared our insights as a team in order for them to benefit from our research and insights. I also organized a couple of innovation tours for some of our Swiss customers. We wanted to help them address their challenges in an all-new way. Silicon Valley is definitely the right place to tackle this. Finally, we also contributed to the evolution and adoption of agile at scale within Swisscom. The Outpost changed a lot during that time. Part of the group became more integrated into the Cloud innovation initiative. They spent part of their time scouting, but they also tested new technologies and were part of development teams in every way. As Swisscom was settling down in Silicon Valley, the whole ecosystem was “blooming.” It was time for several corporations to consider opening an outpost of their own. There was a new rush as large corporation wanted to understand innovation and build partnerships, and they could not afford to not be part of the Bay Area marketplace. In 2017, there were around 50 corporate outposts. Three out of four of them were established after 2010. Recorded by Mark Walti, Palo Alto, February 2019. Marco Hochstrasser is co-founder and CTO of nexoya (www.nexoya.com). Nexoya is a Zurich start-up in the field of artificial intelligence and marketing analytics. Gregory Leproux is now with Salesforce and is responsible for Solution Engineering (pre-sales) in Switzerland. Simon Zwahlen, VP of Business Development & Innovation & Head of Fintech, U.S.
Swisscom tracks what’s going on in the digital world around the globe, with their network stretching from Shanghai to Silicon Valley. Simon Zwahlen is one of their leading specialists. He provides Swiss weekly newspaper Weltwoche with first-hand monthly reports on the hottest trends and most fascinating developments. People have different opinions about the cryptocurrency Bitcoin, but the technological revolution that it spawned is fundamentally changing the worlds of society and business. In some blockchain-related matters, Switzerland is further ahead than California. Everyone’s talking about autonomous driving, but that’s just the beginning of the mobility revolution. The pioneers of the high-tech world already have air and space in their sights – and developments are progressing at breakneck speed. There’s no doubt that Google’s Urs Hölzle is the most famous Swiss export to Silicon Valley. However, there are other Swiss movers and shakers based in this high-tech metropolis who are rather less well-known. A report from the city where two cultures meet. In Europe, Elon Musk is often viewed with some scepticism. This view is marred by misunderstandings. He started with electric cars, but now the Tesla founder has kicked off a revolution that will also have a major impact on Switzerland’s future. Until now, personal assistants have been a privilege enjoyed by busy managers. However, the masterminds of the high-tech industry are now planning a service revolution: a butler for everyone. In the future, artificial intelligence will organise your car’s service, make hair appointments and even look out suitable singletons for you to date. For an overview of all articles (in German and English) link here.